There are recordings that seem to be made for the practice of looking out a window on a rainy day. 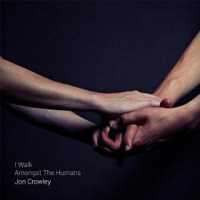 "I Walk Amongst the Humans" by trumpeter Jon Crowley accurately fits that bill. It is a recording which exhibits a poetic nature through thought-provoking originals that are a platform for fine group interplay and superb improvisations. 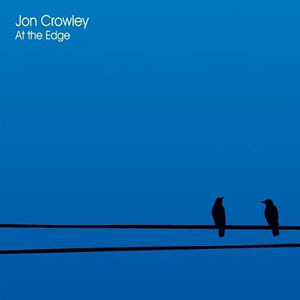 Crowley is an insightful player and composer who is all about textures here, as well as on his prior fine efforts. His playing and compositional approaches are thoughtful, intelligent and avoid pseudo-intellectualism. Both his pen and horn spin subtle images across the session. 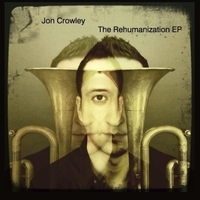 The seven Crowley originals are distinctive, somewhat melismatic and dramatic. Straight ahead aficionados may miss that farethere's none here. However, the slower, textured artwork could be a pleasant change of pace for them. "Still Here" is multi-sectioned swirl of piano and horns that builds and wanes in intensity (as do most tracks here). "Other Lives" offers Crowley's gorgeous tone as he laments over a lumbering bass/piano. "I Disappear" is slow rock-ish scene that unfolds and develops with Beaty's alto wailing and drummer Max Maples colorizing things superbly. "Dark Center" yearns haunting and sad. "A Little Poison" is a more intense, driving pusher that builds to ensemble frenzy. Brad Whiteley's piano raindrops and Ben Thomas's bass offer a darker, slower dance on "In Dreams" with the pair walking on to be joined by the frontline's sustained pitches. "On a Park Bench" paints a reflective, melancholic tone where thoughts rhythmic and melodic enter. Crowley's horn is warm, lush, vibratoless, sincere and wholesome. It's a vocal approach, more introspective and evocative than egoistic and intimidating. 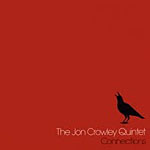 John Beaty's sax is an energetic complement and fine contrast to Crowley. The rhythm section of Whiteley, Thomas, Berman and Maples are involved and communicate at a very high-degree and all perform with taste and terrific support. "I Walk Amongst the Humans" is an interesting and intensely emotion-driven effort. Although it is unique in many ways, Crowley and his fine team of humans are anything but alien. And, yes, it's raining. Track Listing: Still Here; Other Lives; I Disappear; Dark Center; A Little Poison; In Dreams; On a Park Bench. Personnel: Jon Crowley: trumpet; John Beaty: alto sax; Noah Berman: electric guitar, effects; Brad Whiteley: piano; Fender Rhodes; Max Maples: drums.